Olive oil can be found practically everywhere. In fact, this silky smooth import from the Mediterranean has quickly become a mainstay in kitchens all across the United States. And if you&apos;re a wannabe Bobby Flay like me, you probably use olive oil to cook every meal. 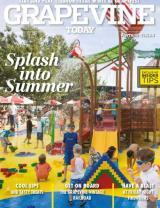 That&apos;s where Grapevine Olive Oil Co. steps in. 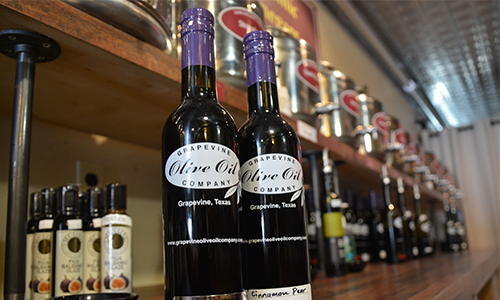 Since 2010, Grapevine Olive Oil Company&apos;s unique location in Historic Downtown Grapevine has thrilled visitors&apos; palates with more than 60 premium extra virgin olive oils and balsamic vinegars from all over the world! It also doesn&apos;t hurt when you&apos;re encouraged to try their products before you ever reach for your wallet. That&apos;s the best part! Terri Johnson, General Manager, couldn&apos;t agree more. "There&apos;s nothing like this around. Unlike a visit to the grocery store, our customers enjoy tasting the products before they buy them." As a privately owned business, Johnson says this allows the store to carry items that you certainly won&apos;t find at your local grocery store. She encourages her guests to take their time and allow themselves to sample some of the finest olive oil that lines every wall. There are some palate pleasing flavors including infused olive oils like Garlic Explosion, California Lime, Chipotle and even a Thai Chili flavored option for those of us that like to turn up the heat. The fun doesn&apos;t stop with olive oil. 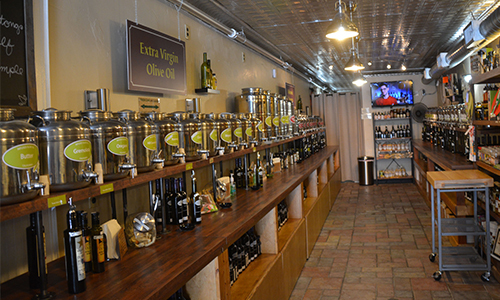 Their selection of balsamic vinegars are well worth a stop as well. Some of the most intriguing flavors we encountered were Dark Chocolate and an interesting bottle of Cinnamon Pear balsamic vinegar that inspired a few ideas for a fresh summer salad. Still undecided? That&apos;s okay, we&apos;ve been there. The fab five is always there to rescue you from moments of indecision and are practically guaranteed to be there when you&apos;re ready to pick up your next favorite bottle of olive oil. One of the perks of buying your bottle here in Grapevine is the special refill program. All they ask is that you bring back your clean and dry bottle for a $3 discount on your next purchase. Wet bottles won&apos;t make the cut so make sure they&apos;re completely dry. These discounts are available for 375ml and 750 ml bottles. This cute little store cut out of brick is also home to a variety of other kitchen goodies as well. 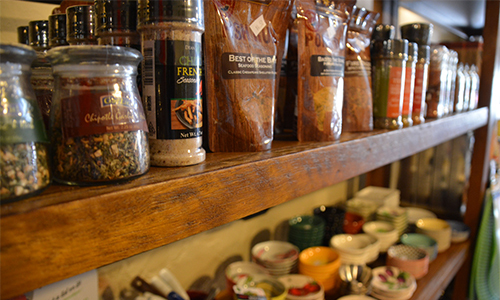 You&apos;ll find specialty sauces, salts & spices, dipping dishes, kitchen gadgets and more. You can even find your favorite products via their online store. 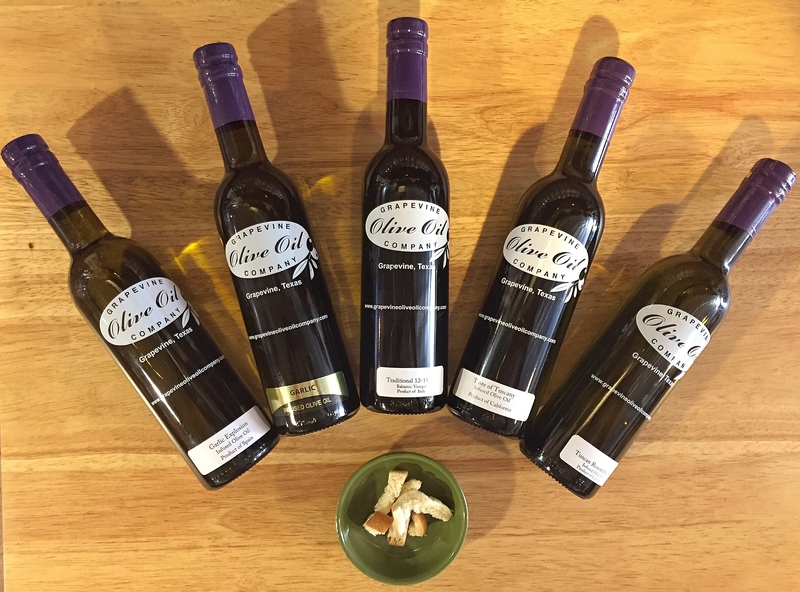 I certainly have a fond new respect for all things extra virgin olive oil now that I&apos;ve sampled my way through the shelves of Grapevine Olive Oil Co. The flavors are deep and mature. While others are big and bold, there are other flavor profiles that are more subtle and perfect for the exotic olive oil newbie. Naturally, we had to add a little recipe that pairs well with the tastes of summer. 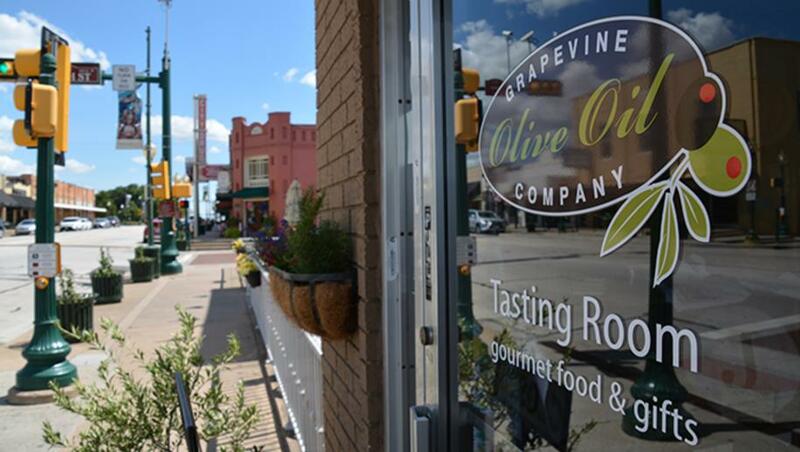 Try it for yourself and be sure to stop by Grapevine Olive Oil Co. Your kitchen will thank you later! 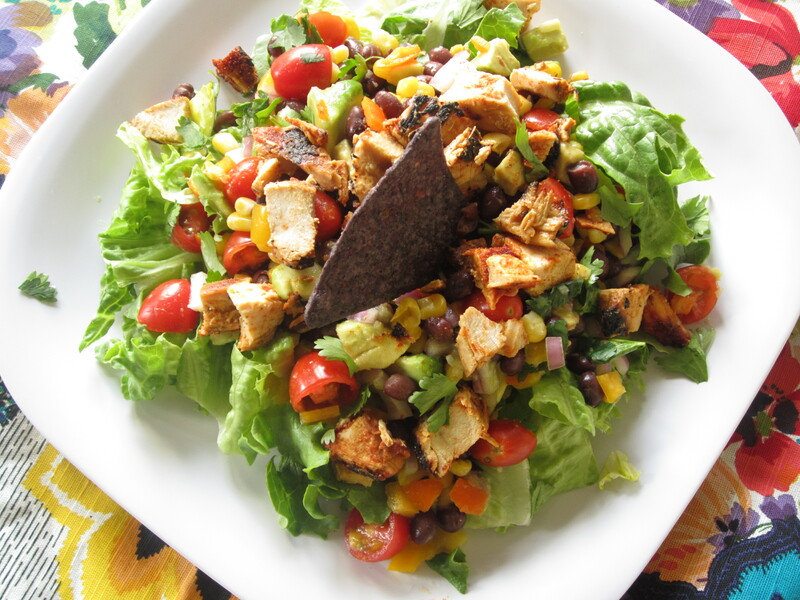 In large bowl, combine corn, black beans, tomatoes, green onions, cilantro and cheese; toss to mix. Blend dressing ingredients in a measuring cup or small bowl. Add romaine, avocado and dressing to salad; toss to mix. Garnish with broken tortilla chips before serving, if desired.